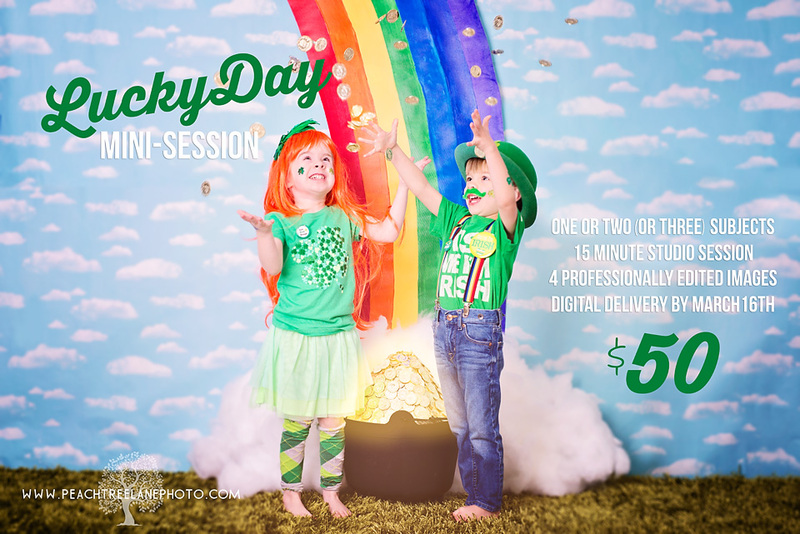 Lucky Day Mini Session Announcement! « Valentine’s Day Mini Sessions still available! Is the cold making you as crazy as it’s making me?! Cabin fever got you down? Load up your kids and head over to Peachtree Lane for some fun St. Patty’s dress up fun! We’ve got WIGS, we’ve got HATS, we’ve got fun shamrock body stickers, rainbow suspenders, mustaches and headbands! You just bring your little beasties in their green! To book your session, simply email me via my contact page or message me in Facebook. Erin Go Bragh! 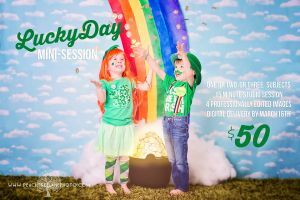 This entry was posted in Mini Sessions, Uncategorized and tagged child photography, east peoria photographer, family photography, germantown hills photography, metamora il photography, peoria illinois photographer, St. Patrick's Day, St. Patrick's Day photography, St. Patty's Day. Does the “cute” ever stop?! first–love the two leprechauns, second–all the rest–clouds, rain bow, raining gold.